The semester is coming to an end and so is the calendar year. We’ve read a lot of fascinating books from our 2016 collection and we are happy to present our 2016 End of the Year Selections. This list features Butler Center staff picks from 2016 that would work well for book clubs, gift choices, or personal reading, on a variety of topics. In keeping with our focus on ALSC’s core values (collaboration, excellence, inclusiveness, innovation, integrity and respect, leadership and responsiveness), we’ve intentionally chosen books that exemplify one or more of these values. 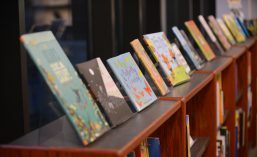 These books were selected by Diane Foote, Butler Center Curator (informational books), Alena Rivers (picture books and children’s fiction), and Hal Patnott (children’s and teen fiction). We hope you find something that inspires your reading choices over the coming weeks. Posted in Abrams, Algonquin, Candlewick, Houghton Mifflin Harcourt, Little, Brown, Macmillan, Simon and Schuster, Uncategorized. Posted in 11-12, 5-6, 7-8, 9-10, Houghton Mifflin Harcourt, Little, Brown, Macmillan, Simon and Schuster. The Butler Center has received hundreds of books published this year, or to-be-published in the coming months, and the Butler Center staff has been busy reviewing dozens of these books! Our list of books that we would like to read outpaces our time to read them. Our hope is to squeeze in a few hours before fall classes begin so we can read at least one more book from our list. Here is a sampling of titles that we plan to read over the next couple of weeks. What’s on your last minute list? 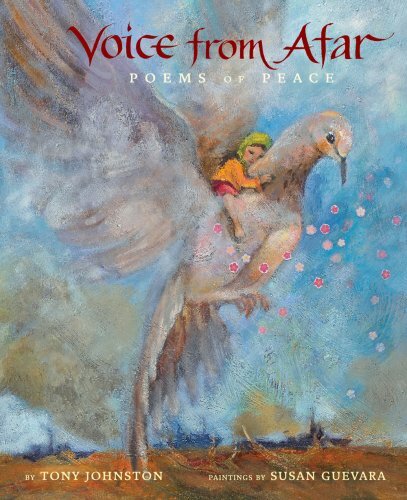 Salvador Silva experiences the world through the words he meets. See, “words only existed in theory” until “one ordinary day you ran into a word…met it face to face. And then that word became someone you knew” (16). As Salvador’s senior year of high school begins and his Mima’s health starts to fail, new words like “college” and “cancer” loom on his horizon. For the first time, he starts to question who he is and whether he has value. Dèja is a fifth grade student starting off in a new school. As the 15th anniversary of 9/11 approaches, Dèja’s teacher begins a lesson about the events of 9/11. Dèja and her new friends learn not only about 9/11 but also how it has impacted their nation and their own lives. Dèja discovers more about her family, as they cope with financial struggles while living in a shelter, and she begins to understand the role 9/11 has played in shaping her life. A diverse set of characters lends different voices to this exploration of a topic that is still new to many of our youth. One of the most buzzed-about books of the year features high-school soccer star Nick Hall as he copes with his linguistic professor father’s “verbomania,” a disinclination to pay attention in class, and the fact that his best friend Coby will now be playing for Nick’s team’s toughest opponent. But nothing shakes Nick the way he’s shaken by a sudden announcement his parents make, throwing the rest of his problems into perspective. Written in verse style familiar from Alexander’s Newbery Medal-winner Crossover (Houghton Mifflin Harcourt, 2014), Nick’s compelling first-person account is one we’re a little embarrassed not to have read yet. Posted in Houghton Mifflin Harcourt, Little, Brown, Uncategorized. Not all of our summer excursions can be tropical vacations. Whether taking time for staycations or logging miles and miles on the road to visit family, for children, time spent in a different place, or traveling to it, can spark imaginations and inspire new adventures. Long road trips and quiet summer days provide great opportunities for children to explore their surroundings and give their brains the freedom to daydream. Here are a group of newly-published picture books in the Butler Center that feature children and the imaginative ways they spend time with grandparents or passing the time on warrior-style road trips to visit them. A boy and his mother take an extended drive to grandmother’s house. Not long before they are on the road, the boy asks his mother, “Are we there yet?”. The mother simply replies, “No.” This familiar-to-adults exchange is repeated across each two-page spread of the book while readers are taken on an illustrated journey through cities, over bridges past farms and deserts until they reach grandmother’s house. The story is a simple reminder for kids and their adult caregivers of the excitement just outside the car window that can be easily overlooked on long road trips. Caldecott medalist, Dan Santat creates a larger-than-life visual voyage when a young boy and his parents embark on what feels like the longest car ride ever to his grandmother’s birthday party. The boy’s initial excitement about the road trip is soon stunted by the bland scenery outside his car window. Santat illustrates imaginative scenes and uses minimal but complimentary text to depict what can happen when you let your brain run wild during the most mind-numbing, tiresome treks to the fun waiting at the end of the road. Charlie, a young boy, makes annual, two-week summer visits to his grandparents’ farm. Not much happens during these summer visits so Charlie amuses himself by playing near a stream with tadpoles and turtles. Charlie discovers that by using a rock to hit the railing of a bridge over the stream, the result is a bell-like sound with its faint echo following it. One day after banging the bridge, an extra sound, just like his, is returned in the distance. Who or what is causing this additional sound? The mystery adds just the right amount of excitement to speed up the slow summer days that remain before Charlie’s parents come to pick him up. Soft water color and gouache shades of green, yellow and orange enhance the feeling of quiet warmth indicative of summer mornings and late afternoons. Young Theodora, or Theo as her grandfather, Poppa, calls her, decides that a trip on a streetcar to a nearby beach is the perfect birthday present for her adventurous grandfather. The journey takes time but there is much to see along the way. When they finally reach the beach, Theo and Poppa spend the day discovering its many treasures and dreaming up big adventures. Their trip ends with a refreshing meal of gazpacho soup and another surprise waiting for Poppa in his apartment. Colorful, mixed-media artwork provides vivid illustrations of the city, beach and all the places in between. Posted in Candlewick, Chronicle, Kids Can, Little, Brown, Uncategorized.